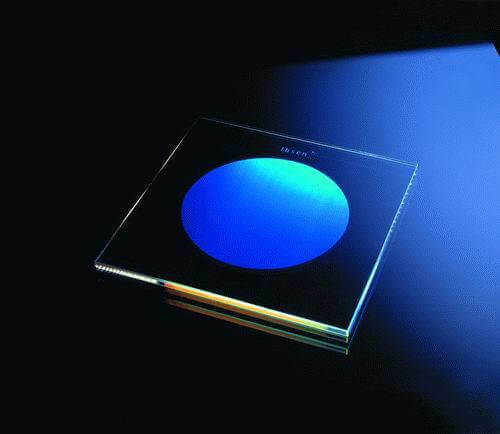 Low-cost production of gratings on planar wafers can be accomplished by use of the Nearfield Holography (NFH) technique, which employs a special type of Phase mask. The Phase mask is made for easy use in a specially modified mask aligner (commercially available from Suss MicroTec) with a conventional UV source as illumination. 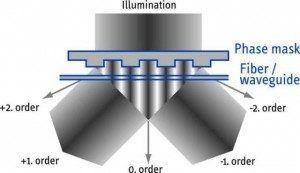 This technology has distinct production advantages over grating fabrication by direct holography or direct e-beam technology. In addition of fabrication of gratings on semiconductor DFB lasers, the technique is also advantageous in a number of other fine-pitch applications within the telecommunications and sensor industries. The 0/-1 order principle is advantageous for fine-pitch applications that require completely eliminated unwanted orders. In this geometry, light incident at angle is diffracted partially into the minus first order. 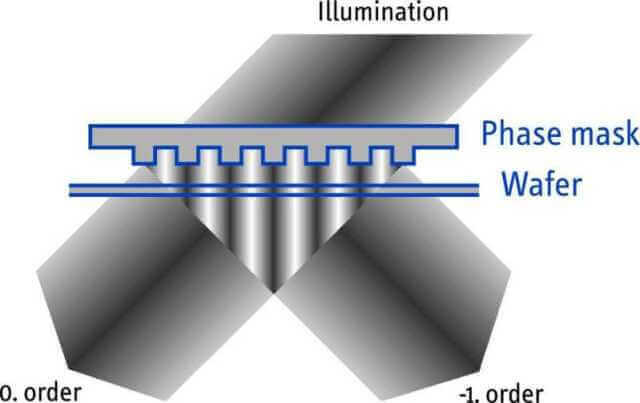 Self-interference between the minus first order and the undiffracted zero order creates an interference pattern with a pitch equal to the Phase mask pitch. Thus, 0/-1 order Phase masks have half the pitch of the equivalent +1/-1 order Phase masks. Our innovative production techniques allow us to manufacture 0/-1 order Phase masks with periods down to 200 nm.